It’s well known that “safari” is a Swahili word for “to travel”. And because of that etymology, the term is most closely associated with wildlife-spotting journeys in Africa. But it’s possible to head north, to the countries closest to the Arctic Circle, for a snow safari - snowfari anyone? (TRAVPR.COM) UNITED KINGDOM - February 7th, 2017 - Explore the winter wildernesses of Scandinavia, Lapland, Iceland and Alaska by husky sled, snowmobile, cross-country skis, kick-sleds, snowshoes or boat to see what wildlife wonders are on offer. Artisan Travel offers a range of stunning trips across these vast regions, combining exciting wilderness adventures with cosy lodges, local experts - on two legs and four – and opportunities to witness heavenly spectacles (the Northern Lights) and earthly wilds…snow-blanketed landscapes, wild moose and birdlife. There’s still time to travel this spring - or to get ahead for next season - with this selection of “snowfaris”. Springtime is ideal for a ‘snowfari’ as the temperature in the Arctic circle is milder than during the deep winter months. Snow blankets the ground, landscapes are enhanced by endless ice blue skies, plus the daylight hours are much longer, so there’s more time for activities. Spend four nights in the remote wilderness of Norwegian Lapland with Scandinavia's 11-times winner of the Finnmarkslopet (the longest dog-sled race in Europe). In Sven’s capable hands, this trip travels across frozen lakes and marshland, over snow-laden hills and through valleys, staying in wilderness cabins and at the Engholm Husky Farm. The Karasjok - Three Day Husky Safari is a real adventure with the gentle swish of the sled and the padding of eager paws as the only sounds to accompany your journey. Four nights from £2,145* pp (two sharing), flights included. Departures until mid-April 2017 and then from December 2017. For those looking for more action, then perhaps the Harriniva - Powder Pro Snowmobile trip will tick the box. 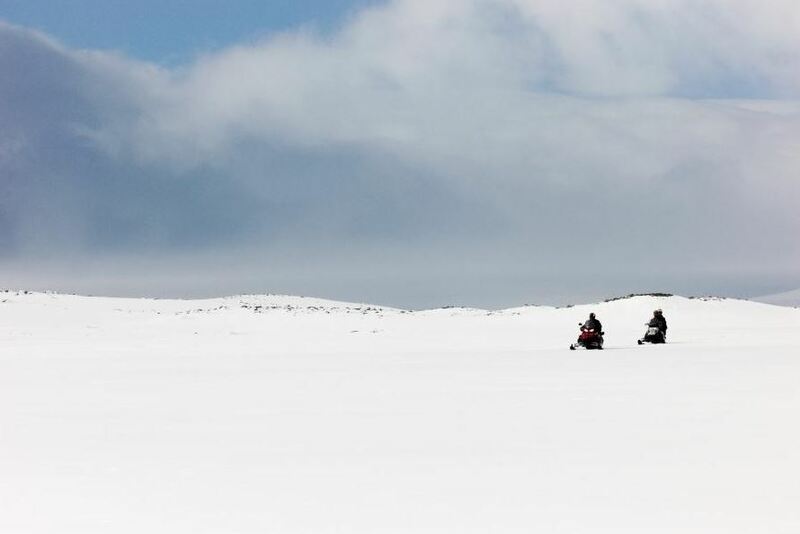 The snowmobile is ubiquitous up here and a three-day safari speeding through snow-covered forests and across frozen lakes, will provide a real sense of the full scale of the Arctic wilds. To really maximise the the thrilling fun of this machine though, is a chance to get out into the deep snow in the treeless fell region – what this adventurous trip is all about. Four nights from £1,195* pp (two sharing) flights excluded. Departures until end of March 2017 and then from early January 2018. 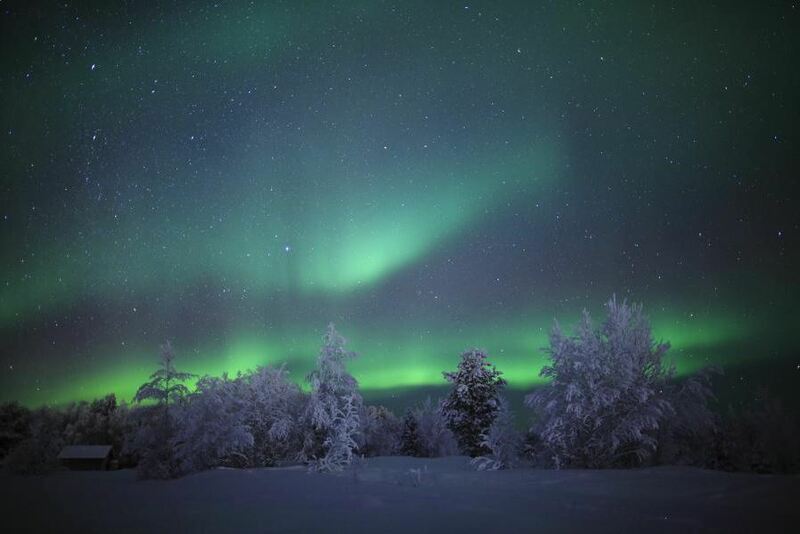 Of course, a huge draw to these northern climes is the Aurora Borealis – the Northern Lights. This short trip includes two nights out in the dark wilderness - one on snowshoes and one by snowmobile - where the chances of spotting this ethereal spectacle are best. This packed itinerary in Menesjarvi also includes dinner cooked over an open fire in a Lappish ‘kota’, the chance to don skis and head off cross-country to explore and the option to take a husky safari. Three nights from £1,225* pp (two sharing), flights included. Departures until the end of March 2017 and then from early December 2017. For those who would like to create their own adventure, this new Sörbyn Lodge tour will be perfect. There are many activities on offer, including various safaris by snowmobile – trips lasting from just three hours or up to 150km – plus Northern Lights safaris, a moose safari or husky-sled trips. There’s also the chance to try ice fishing, snowshoeing, to visit a Sami family or become a musher for a day. All of this happens in a lakeside setting, far off the tourist trail, giving a real sense and understanding of Lappish wilderness. From three nights, from £655* pp (two sharing), flights excluded. Extra nights from £158 pp and activities from £92 pp each. Departures until 30th April 2017 and then from late November. OK – so safari might be stretching it slightly, but this Winter Break in Reykjavik and Keflavik includes wildlife and Aurora spotting, so is absolutely worthy of mention. There’s a whale watching trip to Faxaflói Bay - where frequent sightings of humpback and minke whales occur – and a Northern Lights Tour, which heads out into the darkness in a 4x4 super jeep, on a hunt to spot the breath-taking colours and shapes dancing in the dark Arctic sky. Added to this is a dip in the Blue Lagoon and plenty of time to explore Reykjavik’s many attractions. Four nights from £995* pp (two sharing), flights excluded. Departures until 31st March 2017 and then from 30th September. * For individual trip inclusions, please see the direct page link to Artisan Travel’s website (www.artisantravel.co.uk) for each holiday listed. For more information, or to speak to an expert, please visit www.artisantravel.co.uk, or call 01670 785 085. Note to editors: Independent specialist holiday company, Artisan Travel, provides life-enriching holidays, crafted by experts, which marry expertise and local knowledge to deliver unforgettable bucket-list experiences for adults. It is a sister company to family travel specialist Activities Abroad, and Northern Lights specialist, The Aurora Zone. Press: For more information, quotes or to discuss a commissioned press trip, please contact Julia Farish or Paul Bondsfield at Travel PR on 020 8891 4440 or j.farish@travelpr.co.uk or p.bondsfield@travelpr.co.uk.